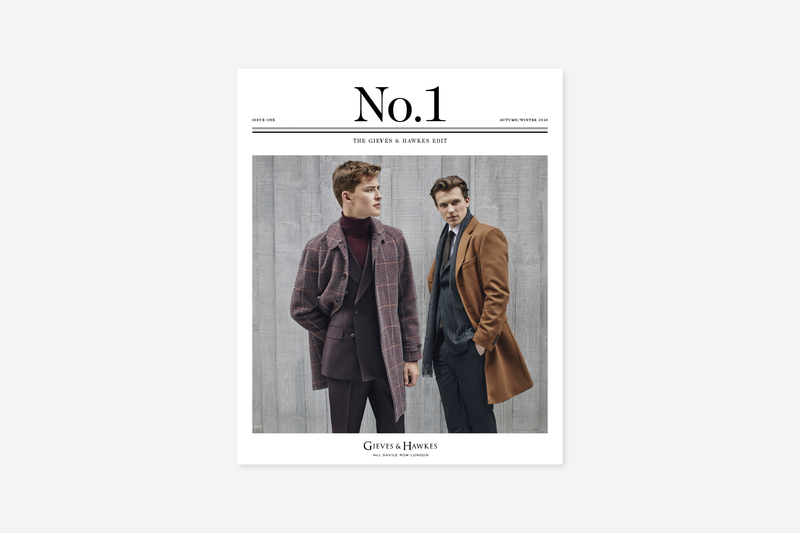 Show Media is proud to present its most recent collaborations with Gieves & Hawkes – including the Savile Row tailor’s AW18 campaign shoot, and a beautiful 16-page newspaper. The first ever Gieves & Hawkes No.1 newspaper is in stores now and will be published this weekend with The Sunday Times on 23 September. The newspaper features original editorial from leading journalists on all aspects of the tailor and its latest collection. Josh Sims speaks to Gieves & Hawkes’ creative director John Harrison about the brand’s connection to the sea, Mathias le Fèvre explores the sharpest tailoring for the season, and Stephen Doig picks his favourite outer and casualwear for autumn escapes. Elsewhere, Mansel Fletcher follows the path of wool from farm to fashion, Tom Chamberlin dresses it up in eveningwear for the party season, Rob Ryan finds out the history of Gieves’ home at No.1 Savile Row, and Aleks Cvetkovic explains how bespoke inspires innovation. The newspaper features the AW18 collection from Gieves & Hawkes, for which Show Media created the concept and art-directed the campaign shoot. AW18 is the third campaign shoot we have worked on with the tailor. We worked with photographer Adam Whitehead and stylist David Lamb to produce the shoot, which draws directly from the main themes of the collection. The shoot was split between Hive Beach, Dorset, where the naval and seafaring influences were captured in the raw natural beauty of the coast, and London’s Shoreditch where the modernist angles of the new Nobu Hotel perfectly complement the sharp tailoring of the new season. The AW18 collection and No.1 newspaper are available in store now.